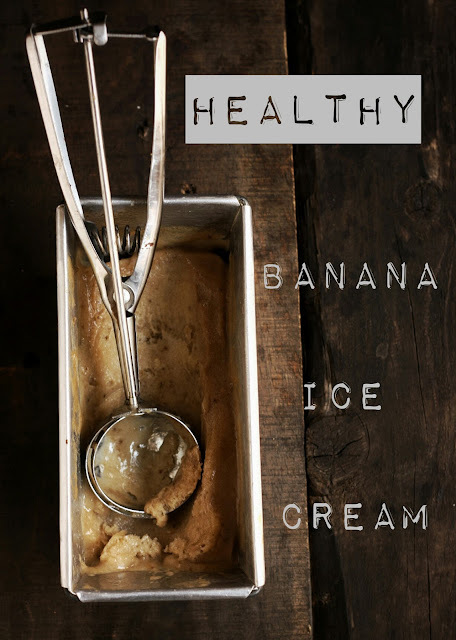 Unless the cookies and the candy, this ice cream is positively healthy. 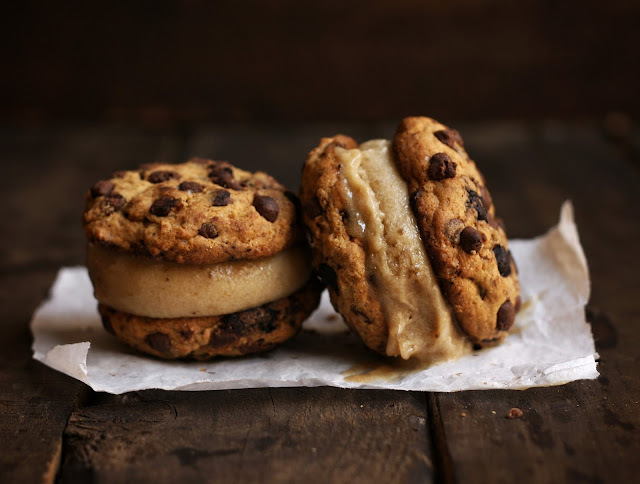 It only contains frozen banana, honey and milk powder (which you can skip anyway to make it dairy free). Blend them, freeze them then voila, in the next day you have a full bowl of non guilty pleasure. Kid friendly, money friendly, no churn, no ice cream maker and healthy! Unless, once again, you topped them or sandwich them with these freaking thingy made from sugar, a lot of sugar! Cookies sandwich banana ice cream sounds interesting, no? 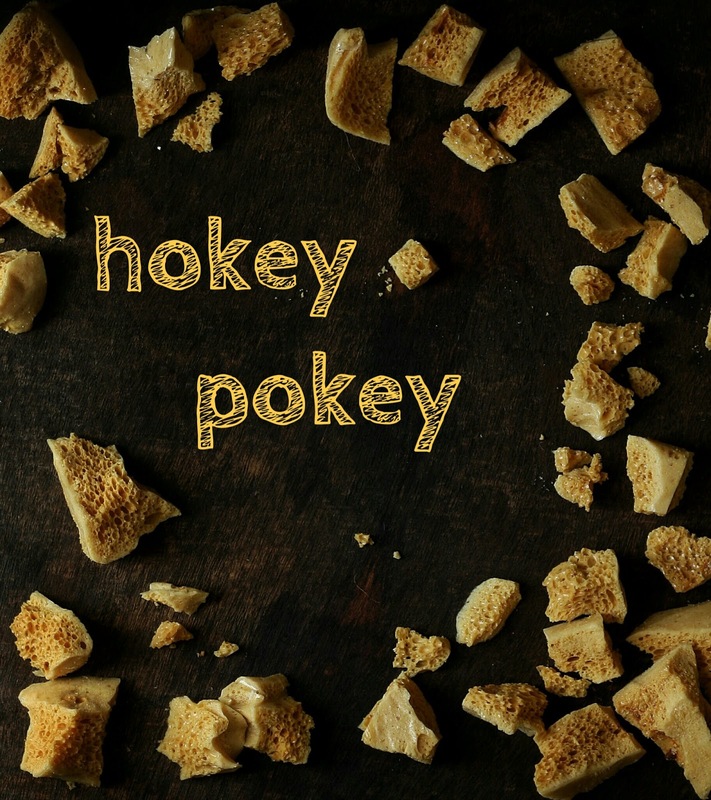 But tell me, who can resist a golden crumble of Hokey Pokey? 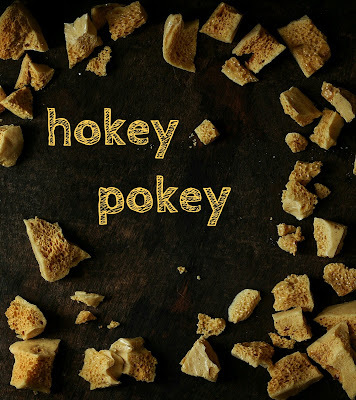 Wait, you don't have any idea of what Hokey Pokey is? It surely doesn't have any correlation with Hockey or Pocky biscuit, though they all sound fun. 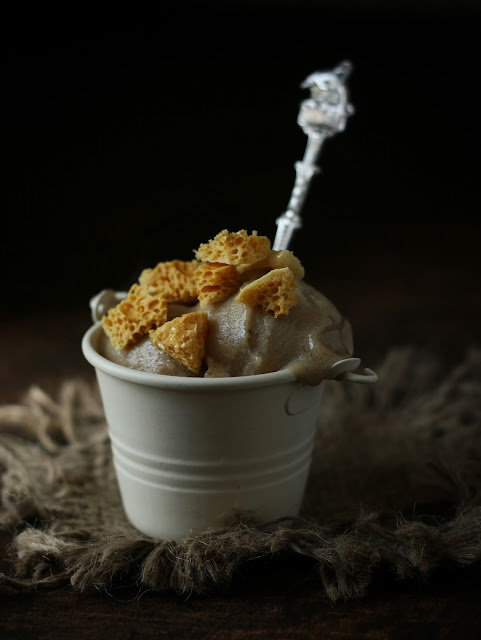 That golden honeycomb really gives a kick to banana ice cream, yumm! 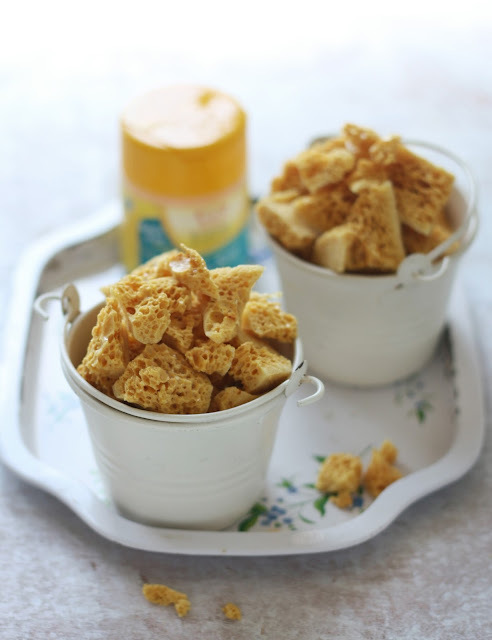 In her book Nigella Express, Nigella said that Hokey Pokey is a Cornish term for honeycomb, candy with honeycomb shape. It is best eaten as crumbles topped of ice cream cupcakes, pancakes, or, well mention any sweet treats in your mind, they will be honeycomb soul mate! Blend them together until smooth. Spoon into airtight container then freeze overnight. Heat the sugar, honey and glucose in a saucepan, stir together until melt. Continue to cook without stirring for about 4-5 minutes until darken like maple color. 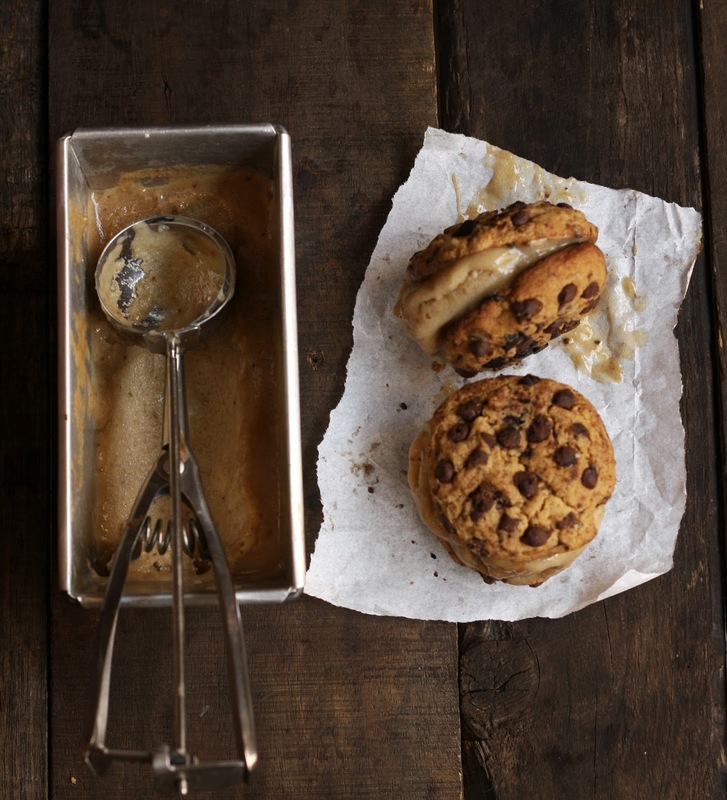 Off the heat, whisk in bicarbonate of soda and immediately pour into a piece of greased baking paper. Leave until set then bash into crumbles.